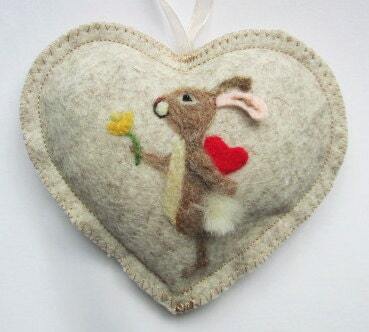 Here is a dear little rabbit, needle felted onto a creamy beige heart. 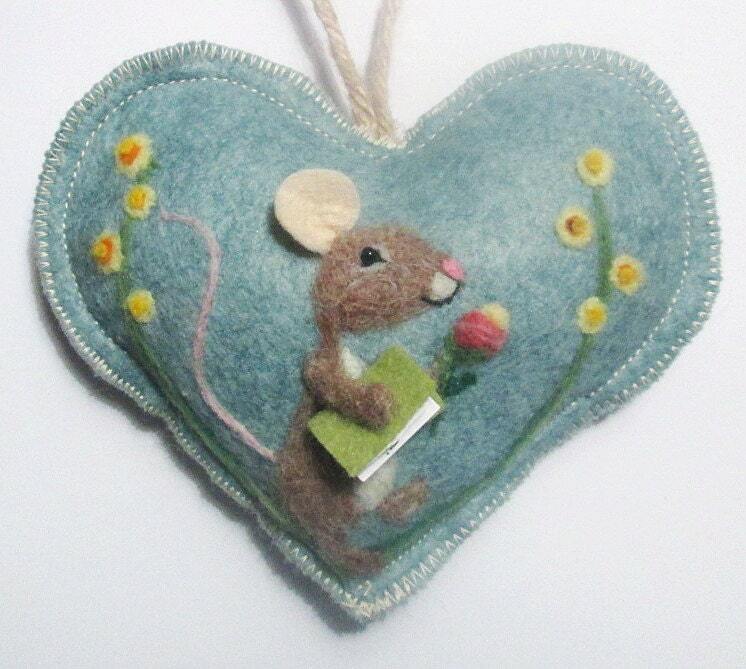 He is bringing a daffodil and hiding a heart shyly behind his back. 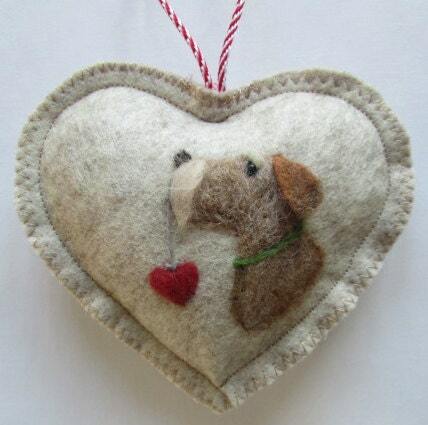 The heart is scented with lavender but can be made scent free. The perfect gift for Easter or mother's day, I am happy to change the heart behind his back to an egg or make it a girl bunny. 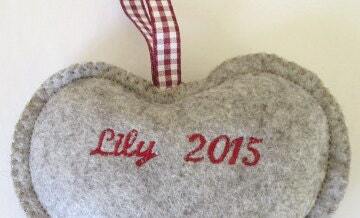 I am happy to embroider a name, date or short message on the back to make it a very special gift. 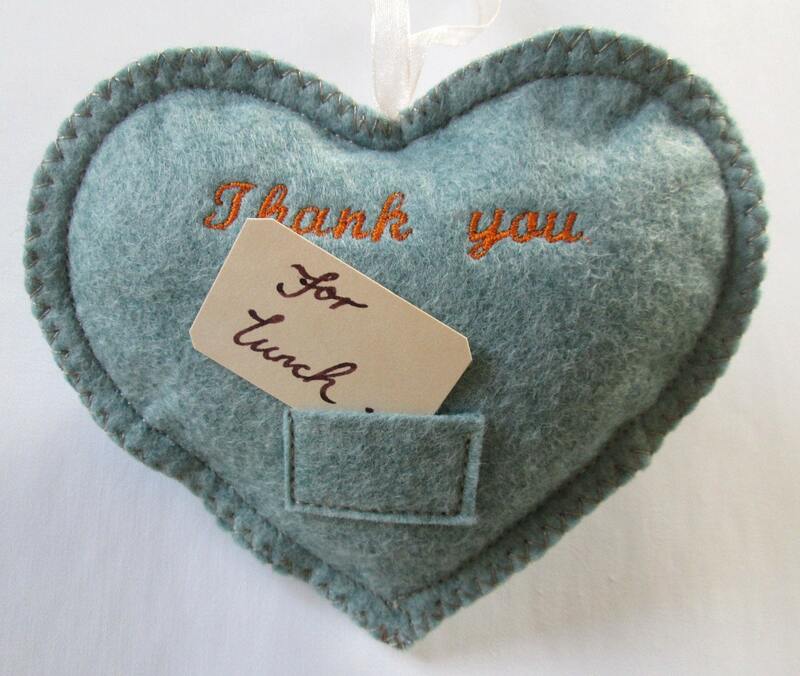 The design is needle felted with Somerset and Scottish wool and the bunny is in Full Relief -The earand arm are all 3 dimensional making the heart attractive from many angles. Bunny enjoys being dangled from any handle or peg around the house.